I’ve previously been all about the number of reviews that I can cram into a lunchbox review. 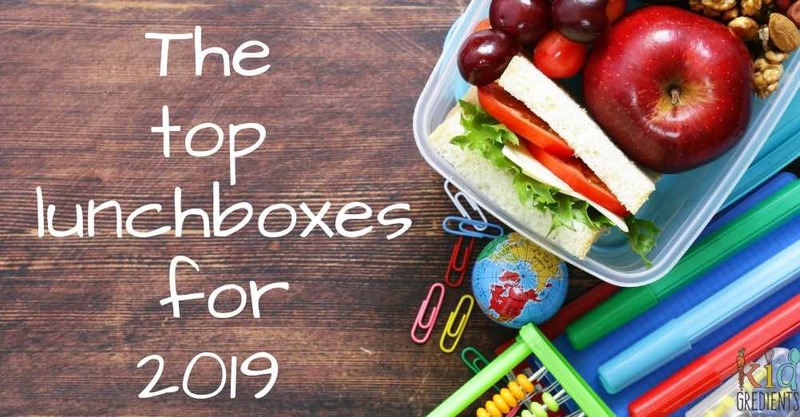 But this year, I’m focussing on the top lunchboxes for 2019 and telling you who they are best for. 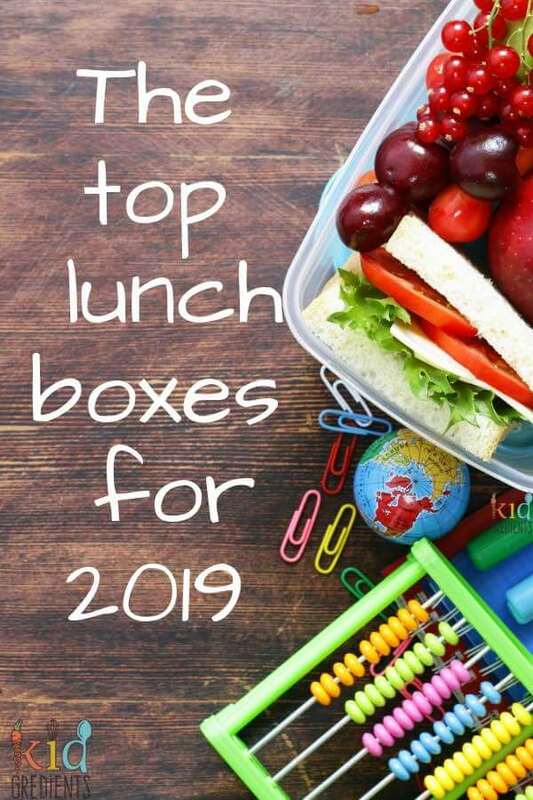 Choosing a lunchbox is super hard, I understand that, so I’ve put together my guide to the best lunchboxes available for 2019. I have used these lunchboxes, send them to school and after school activities, taken them to weekend activities and even taken them on holidays. These are the ones that have stood the test of time. 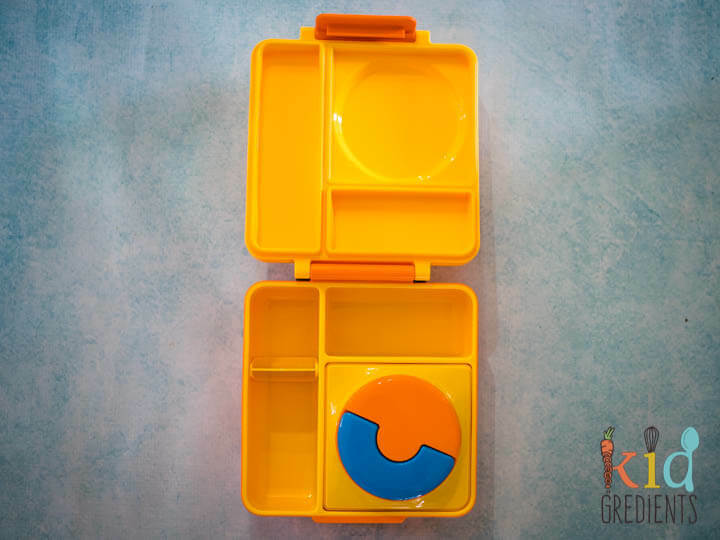 These lunchboxes are the ones that we use every day, that we barely wash in time to use for the next activity and the ones that offer the best features that we need. It takes a lot of time to put something like this review together, so please do me a favour and purchase via my affiliate links if there are some for the lunchbox. Each of these lunchboxes is different in what they offer, so make sure you read the details! 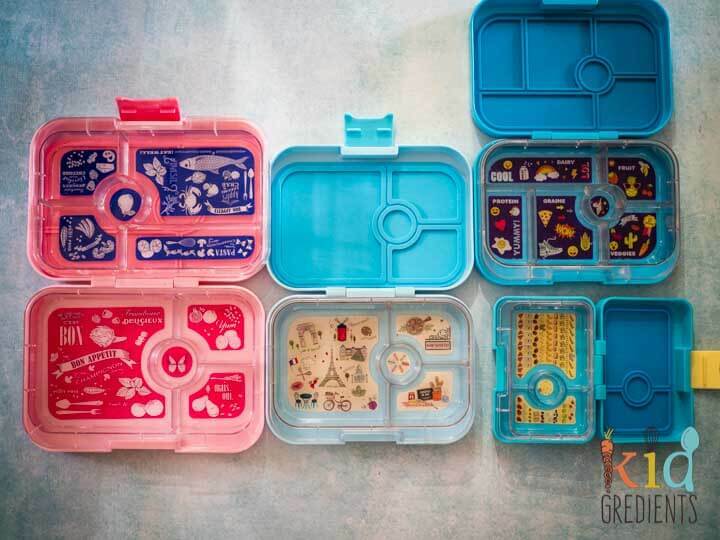 The yumbox family has become a cult favourite in the lunchbox world and for good reason. 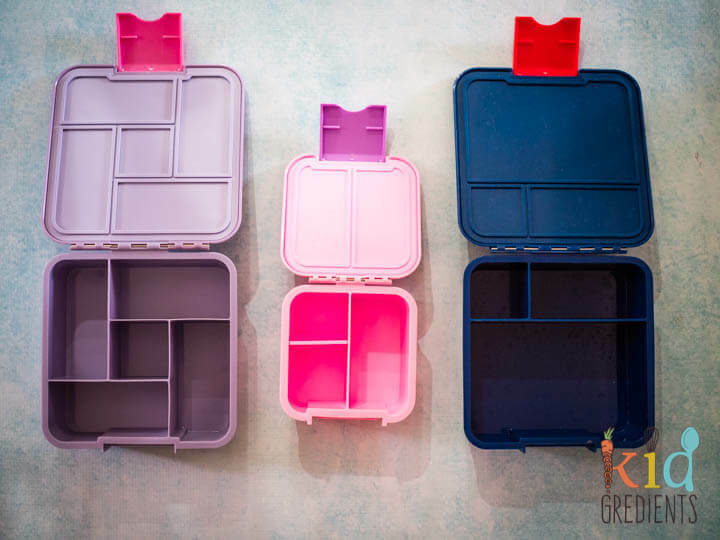 Yumboxes seal really well, come in 4 different sizes and have replaceable clasps. 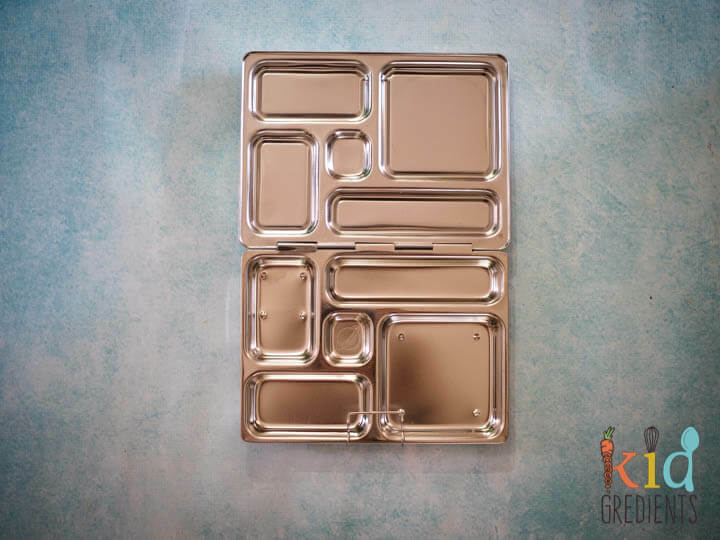 The four size are: yumbox mini snack (perfect for recess), yumbox panino & yumbox original (both perfect for primary ages kids for lunch) and yumbox tapas (with interchangeable trays- designed for older kids and adults). The most versatile is the panino style, that you can create extra divisions in with silicone cups. If you are only buying one lunchbox, this is the one. You can check out detailed reviews of the yumbox mini snack, yumbox panino, yumbox original and yumbox tapas here. They fit perfectly in the so young lunch bags or the montii.co lunchbags. Buy the yumbox mini snack here. The little lunchbox company is one of our favourite lunchboxes due to ease of use. They have an all in one design with an excellent seal. 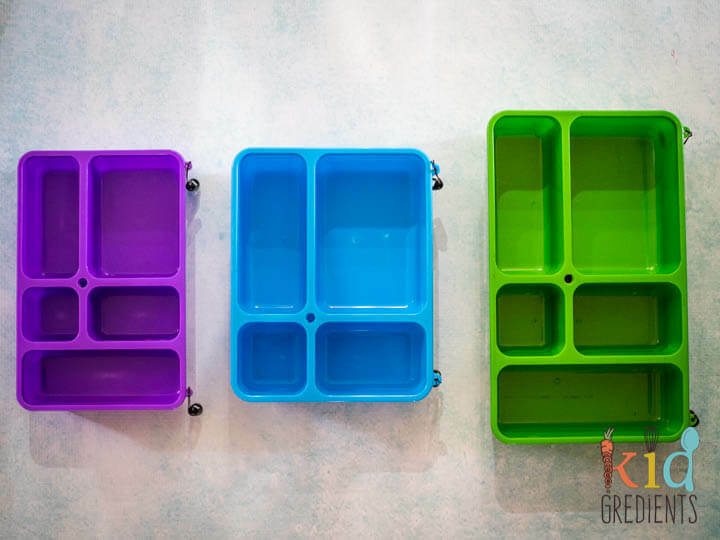 They come in three sizes, the bento 2 (perfect for recess), bento three and bento 5 (the same size with different dividers). The most versatile is the bento three and using silicone cups it can effectively become the bento 5 if you want to. Like with the yumbox, if you are only buying one lunchbox, this is the one to get. Why do we love them? Deeper than the yumbox, they have lots of fun designs that are right on trend for kids. Being one piece, there is no risk of lost bits. You can check out detailed reviews of the little lunchbox company bento three and bento five here. Buy the bento five here. The go green lunchboxes are designed with toughness in mind. They have an awesome seal and none of the kiddy design features that turn off older kids. The go green comes in three sizes go green small (good for recess), go green medium (primary age perfect) and go green large (great for older kids or to grow into by using the drink bottle). The large go green is the most versatile of the three and comes with a water bottle in one section which means effectively you could buy this lunchbox for a primary aged child to grow into. Why do we love them? They have a fantastic seal and are lighter than other bento lunchboxes. The seals are also replaceable. You can check out detailed reviews of the go green large and the go green medium here. The large size really only fit in the go green lunchbags. The medium and the small fit perfectly in the so young lunch bags or the montii.co lunchbags. The omie box is the most unusual lunchbox you will find. It is designed to able to take hot and cold food, has a great seal and can be adapted to suit your needs for the day. It comes in one size and has a thermal container that you can preheat or cool for making sure that food stays at the right temperature. When packed as a lunchbox, it is perfect for a primary school aged child. The thermal container can be removed for when everything is going to be the same temperature. You can check out detailed reviews of the omiebox here. The omie box fits perfectly in the montii.co lunchbgas. If you’re not keen on plastic, then this is the lunchbox for you! It isn’t leakproof but contains two leakproof containers. This is the lunchbox that will withstand a nuclear holocaust, but that comes at a price as it is both heavy and expensive! Versatile enough to hold a sandwich or your favourite salad, it has compartments that are easy to fill. Customisable with magnets to suit your child, it can be plain or decorated. Why do we love the planet box rover? Three years on it looks exactly the same as it did when we got it. You can check out a detailed review here. The planet box fits best in its own bag. Buy your planet box rover here.